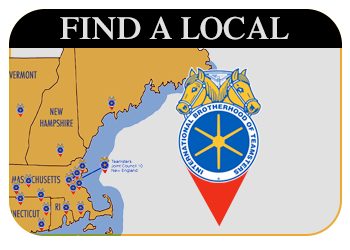 Local 653 Sysco Boston Teamsters approved giving strike authorization to the group’s bargaining team at a meeting this morning. 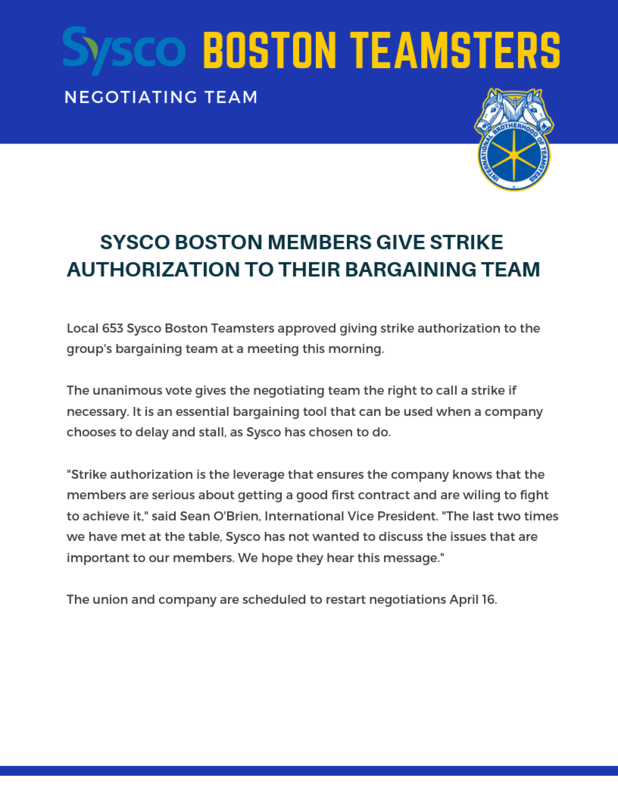 The unanimous vote gives the negotiating team the right to call a strike if necessary. 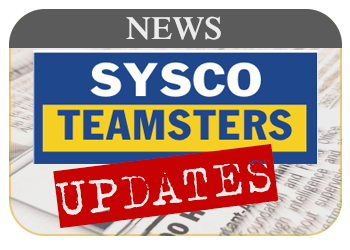 It is an essential bargaining tool that can be used when a company chooses to delay and stall, as Sysco has chosen to do. 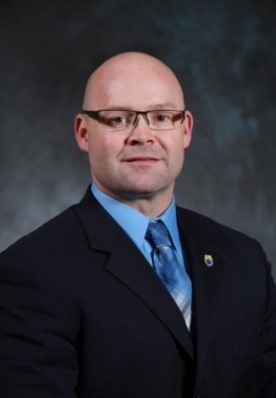 The union and company are scheduled to restart negotiations April 16.